Monarto Zoo is home to five white rhinos! 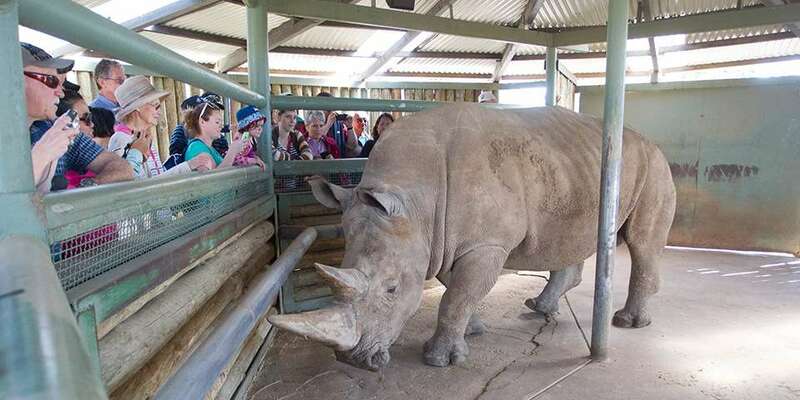 Monarto Zoo is home to a rhino crash of five Southern White Rhinoceros, two mature bulls and three adult females. Uhura and Umqali are the mothers to the five rhino calves born at the zoo over the last few years. Kibibi (princess in Swahili) was born on 2 October 2012 and the first female calf to ever be born at the zoo. 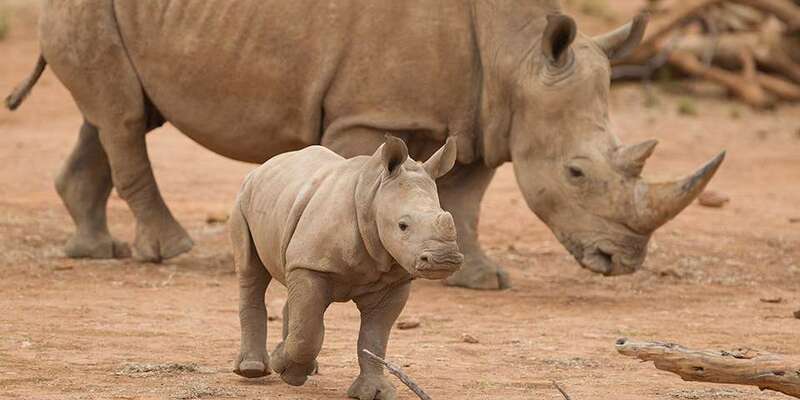 For roughly the first six months of their life rhino calves gain weight extremely rapidly, at a rate of around two to three kilograms a day. This astonishing weight gain means that zoo keepers are able to literally watch the calves grow before their very own eyes! Kibibi’s mother Uhura, arrived from Singapore Zoo in December 2000 and her father Satara is our dominant breeding bull. Satara and our other adult female Umqali, arrived at Monarto Zoo in September 2002 from the Kruger National Park in South Africa. The importation of wild born rhinos was an important addition to the regional population as it injected new genetics into the region. 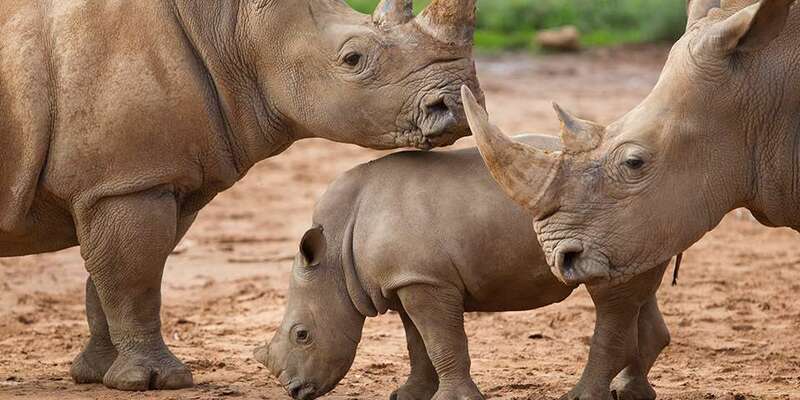 Of the seven wild rhinos imported into Australia, all have gone on to bred increasing the population and strengthening the genetic diversity, a great success for the regional insurance population. Ibutho, the zoo’s other bull is housed separately as adult males are very territorial. The White Rhino is one of the largest land animals and have the biggest horn of all rhinos! Their physiology closely resembles that of zebras and horses, having the same basic digestive tract (single-chambered stomach). Bulls are solitary and establish territories by spraying urine and producing large faecal middens. Bulls will defend their territories from other males, which may choose to contest a particular male for the dominance of an area. While females usually live in small groups containing young adults. There is an estimated 20,000 wild rhinos. One of the biggest threats to the wild population is poaching for the international rhino horn trade, which commands a high value on the black market for alleged medicinal purposes. 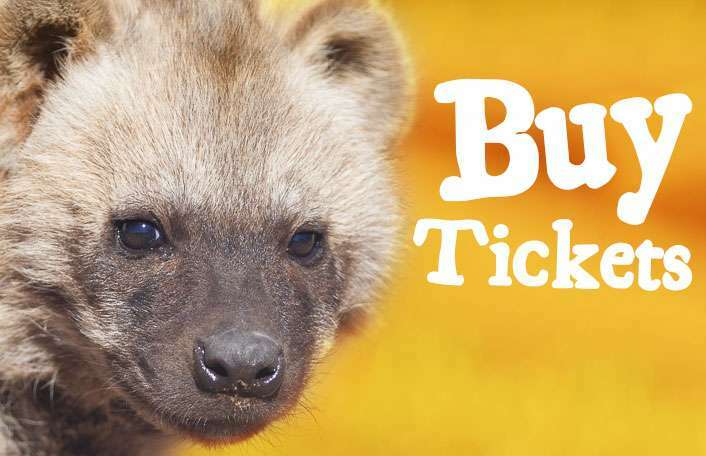 This illegal trade has seen the incidence of poaching escalate hugely over the past ten years. Rhino horns provide no proven medical benefit; the horn is made of a protein called keratin, which is also what makes up skin, fingernails, hair and hooves. This alleged cure for a range of medical aliments has resulted in needless death of hundreds of rhinos. Love rhinos? 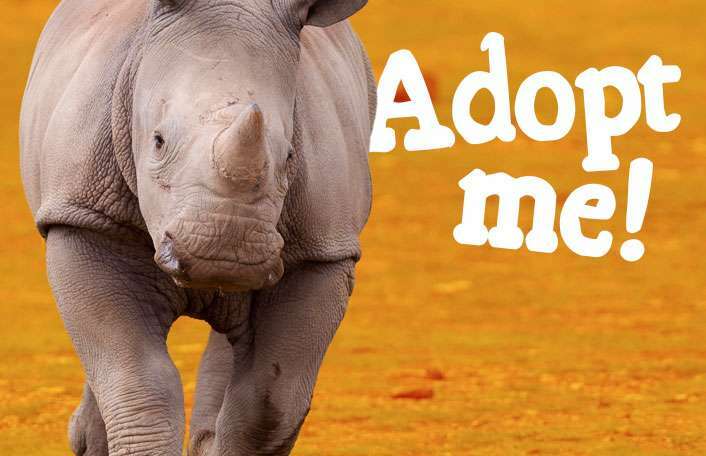 Join our crash and ensure rhinos stay a stampede ahead of extinction! There are many ways you can help support these powerful giants.